"The Queen was challenging us to ‘think’ and ‘respect’ ourselves and to become better partners, better citizens and better humans." 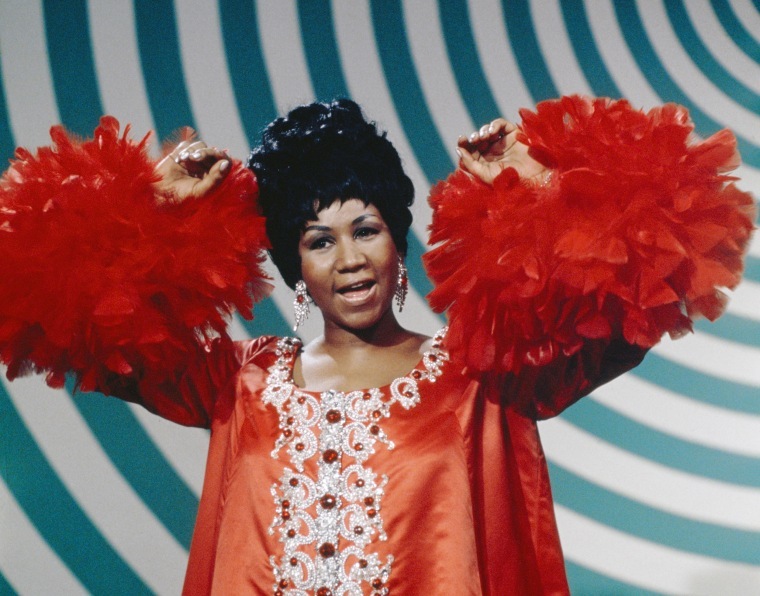 Aretha Franklin was a soul-singing global icon with staggering commercial success — notching 44 Grammy Award nominations and 18 wins, and releasing 19 albums in the 1960s, 11 from 1967 to 1969 alone. She was also an artist whose life and music was intertwined with civil rights and the struggle for black equality. A gospel singer who was raised in the church, she was the daughter of C.L. Franklin, pastor of the New Bethel Baptist Church in Detroit and a minister who marched with Martin Luther King Jr.. C.L. Franklin had organized the June 1963 Walk To Freedom, which was the largest civil rights demonstration in the nation’s history until the March on Washington a few months later. 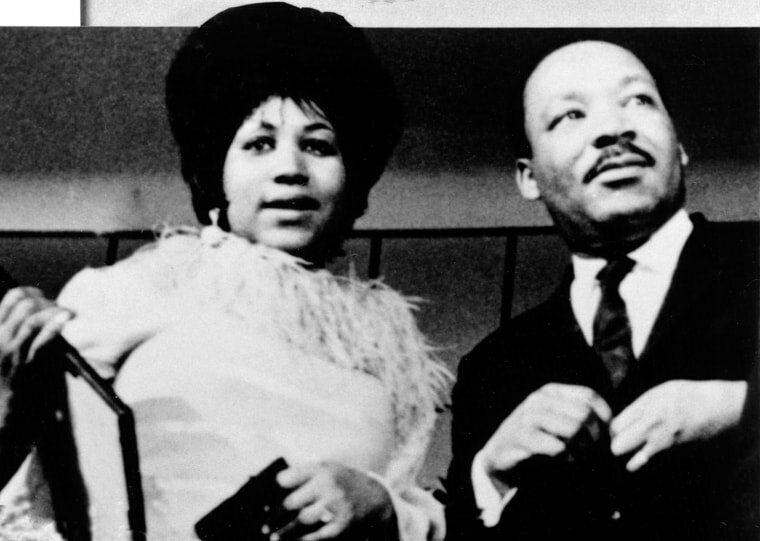 Aretha's mentor was Mahalia Jackson, the gospel singer whose voice was known as “the soundtrack of the Civil Rights Movement” and who was a good friend of King's and inspired his “I Have A Dream” speech. Franklin sang “Take My Hand, Precious Lord” at King’s funeral in 1968, a song which Jackson had popularized. That same year, Franklin also sang the national anthem at the Democratic National Convention in Chicago, during a tumultuous political campaign and a year marked by civil unrest, protests, police violence and assassinations. Much like her mentor, Franklin provided the soundtrack of an era. Black artists have traditionally been agents of change through their music, reflecting and shaping the issues of their time. Examples include the voice of suffering in Billie Holliday’s “Strange Fruit,” the audacious rage of Nina Simone’s “Mississippi Goddam,” and the funky soul of James Brown’s “Say It Loud — I’m Black and I’m Proud.” Similarly, Aretha Franklin was a voice of pride, hope and freedom. Her rendition of the Otis Redding song “Respect” became an undeniable anthem of empowerment for African-Americans and women. This week, Beyoncé and Jay Z dedicated their Detroit concert at Ford Field to Franklin. DJ Khaled opened the show by playing "Respect," prompting the tens of thousands in attendance to sing along. Experts who have chronicled Franklin's life and legacy say this chart-topping hit was just the beginning of Franklin's impact. 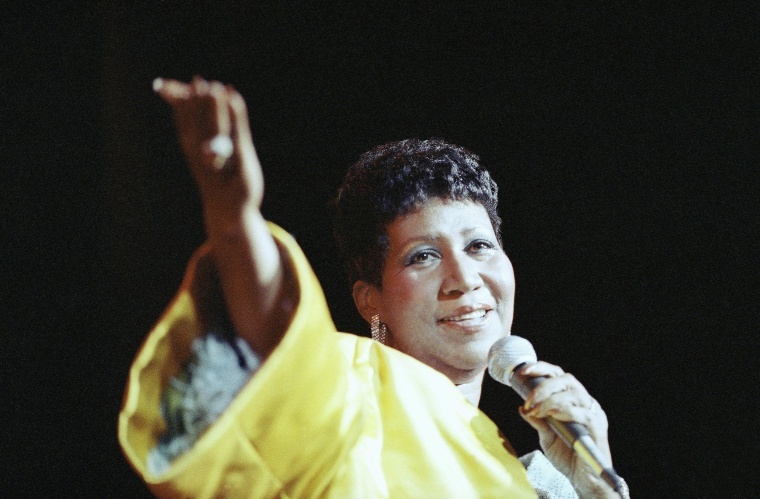 "As the Civil Rights Movement led to the Black Power era of the 1960s and 1970s, and black pride emerged as a response to racism and a white-dominated society, and an affirmation of African heritage and culture, Aretha was there," said Daphne Brooks, a professor of African American Studies and Theater Studies at Yale University who has written extensively about how singers like Franklin can transcend oppression through their music.